Or, just look at the thing! It's a giant crazy-looking rooster in front of McNears! Awesome! "This drawing was inspired by musician Arann Harris of The Green String Farm Band," writes Ricky. "He came up with the concept and I brought the idea to life. 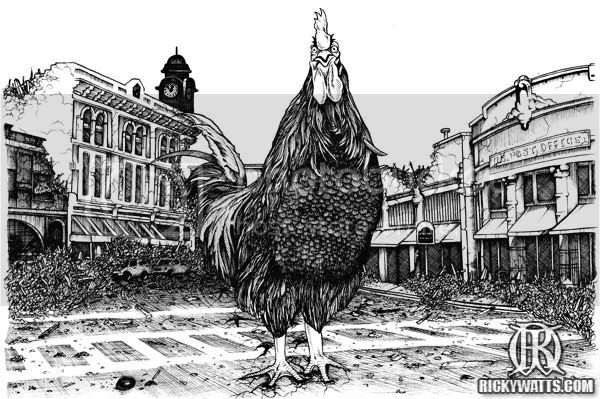 It is a futuristic interpretation of a growth hormone experiment gone bad on the downtown streets (of my hometown) of Petaluma, California, once known as the 'Chicken Capital of the World.'"